Microsoft Edge browser lets you take notes, write, and highlight directly on webpages. It comes with some of the interesting features so that users get the maximum benefit of using the Microsoft edge Browser. 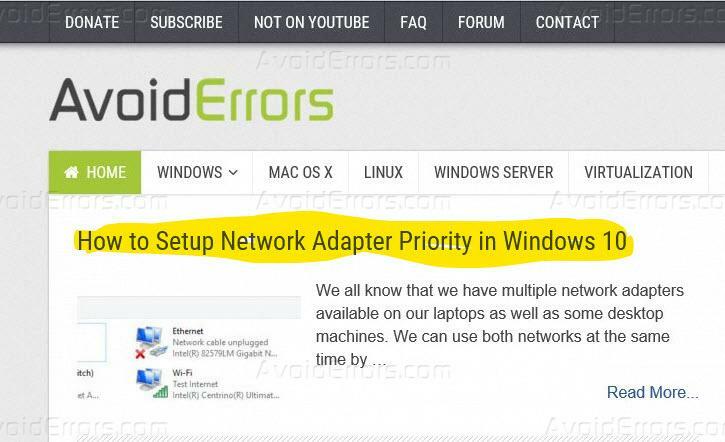 In this tutorial, I will explain how we can use the Note feature in edge Browser. 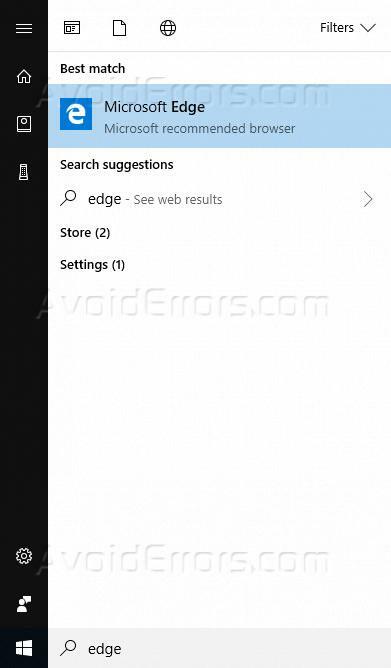 Click on start menu and start typing edge and it will show you Microsoft edge Browser on the top, click to open it. On the top right corner you will see the pencil icon, click on it and it will make your web browser into a webnote tacking application. You can use the highlight function to highlight the content of the webpage. You can also use ballpoint button to write something on the webpage. If you want to erase anything that you have just returned or drawn you can use the erase button. You can also add comments wherever required this feature helps easy communications and adding notes to the web pages. You can also use the cut feature to a snippet the text outer portion of the website. It will ask you to drag the mouse to copy the portion of the webpage which can then be pasted to any other program. Like paint, MS Word etc. Once you are done by adding notes or other contents on the web page you can click on the save icon on the top right corner of the window to save the contents or a modification you have done on the web page to your local disk. 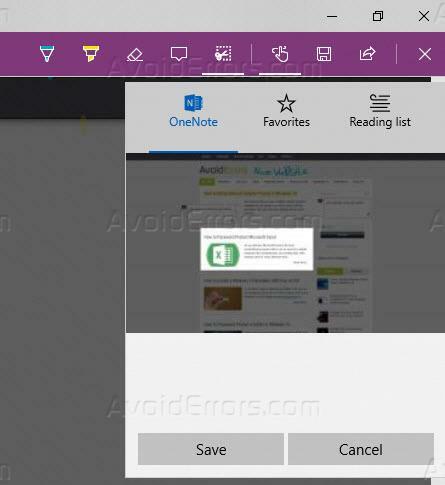 When you click on the save button it will give you three options to save the page, you can select Microsoft onenote to save it as a onenote file, or you can select to add this page to favorites, or you can add this to reading list which can later be accessed on the browser. Once saved it will notify you that your onenote file has been saved. You can access it from onenote. 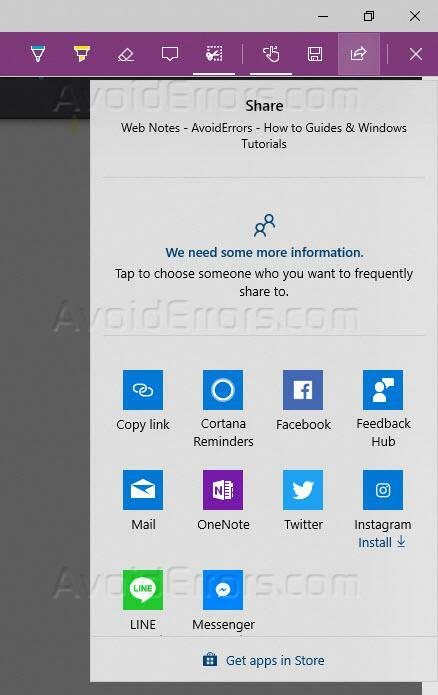 You can also share these note online using different Windows 10 apps for this click on the share icon on the top right corner to get the list of application using which you can share the note.